Similar to the walk-and-turn test and the one-leg stand test, the counting backwards field sobriety test is a divided attention test. That is to say, completion of this test requires you to divide your attention between a mental task and a physical task. When a police officer administers the counting backwards test, he will instruct you to stand with your legs together and your arms at your side. You will then be instructed to simultaneously count backwards until he tells you to stop. The police officer might have you count backwards from ten to one or he might choose completely random numbers. For example, he might instruct you to start with the number 63 and count backwards to the number 38. While you are completing the counting backwards field sobriety test, the police officer will watch for the presence of certain indicators of impairment. These indicators are entirely subjective. That is to say, their determination is based solely upon the police officer’s opinion. The indicators include the following: (1) whether you are unable to follow oral instructions; (2) whether you are unable to count correctly without skipping or repeating a number; (3) whether you are unable to maintain your balance while counting; and (4) whether you are unable to complete the test. The counting backwards field sobriety test is a non-standardized test. 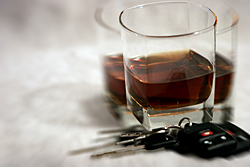 Although the National Highway Traffic Safety Administration (NHTSA) has developed three standardized field sobriety tests to assist police officers in determining if a driver is under the influence of drugs or alcohol, police officers will sometimes utilize non-standardized tests. Non-standardized field sobriety tests are not endorsed by the NHTSA. Accordingly, these tests are not supported by research and are not subject to national standards for administration like the three standardized field sobriety tests—the HGN test, the walk-and-turn test and the one-leg stand test. In that regard, the counting backwards field sobriety test carries less evidentiary weight in court. The counting backwards test is criticized as inaccurate and unreliable. Additionally, critics contend that such factors as nervousness, fatigue and the impairment of motor skills unrelated to intoxication skew the test results. Additionally, the police officer may administer the test in such a fashion that you are destined to fail.